Nautilus is the default file browser in Ubuntu. While it has got all the commonly needed functions, it can be tweaked further to get the most out of it. It supports plugins, and many plugins are available in the official Ubuntu repositories. 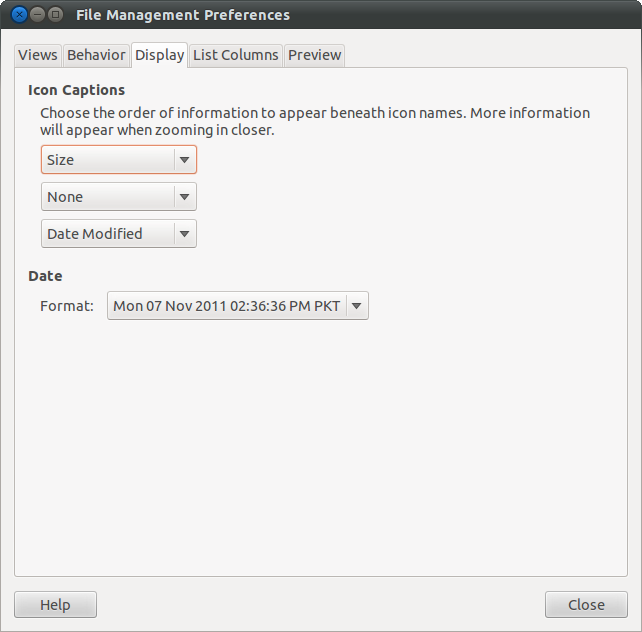 There are also a few simple settings that can be changed to make Nautilus even more accessible for you. If you are navigating between directories most of the time for one stuff or the other, the sidebar 'Tree' view is probably a must for you. 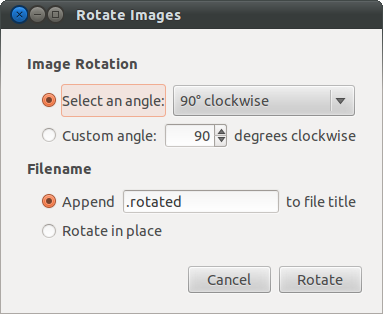 By default, the sidebar is set to 'Places' view, which can be easily changed by choosing 'View > Sidebar > Tree' in Nautilus. If you are somewhat more than a basic user, you definitely also want to enable the detailed 'List View' for all folders by default. 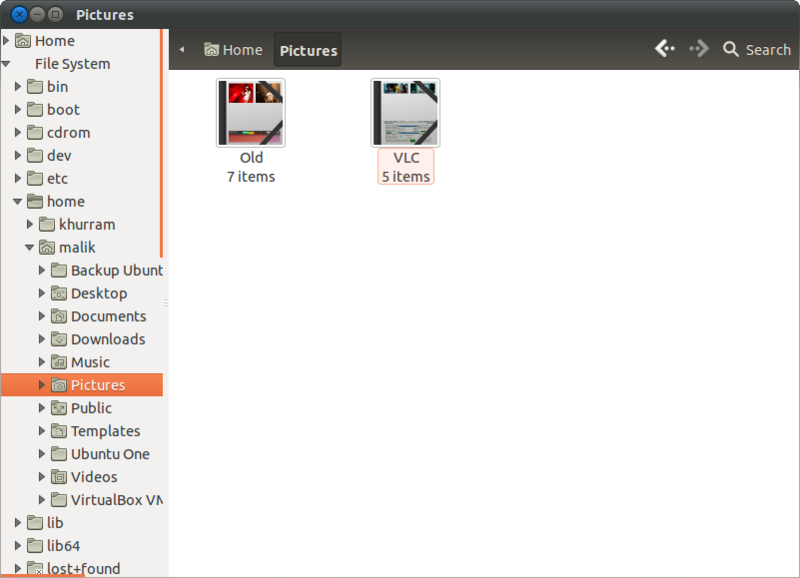 Therefore, choose that as the option for 'View new folders using' under 'Edit > Preferences > View'. And to really take advantage of that, you surely also want to enable one or the other column that isn't enabled by default and possibly re-order the columns, under the 'List Columns' tab. Also, while we are here already, you might also want to disable the previews for text files, under 'Preview', because now that Nautilus is generally set to list view, you don't really have a plus from that anyway. 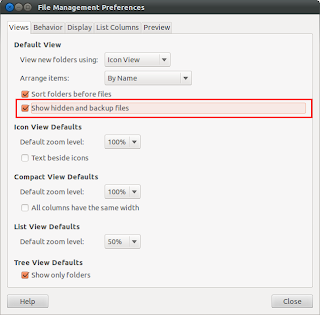 Ideally, hidden files and directories should remain hidden to prevent them against accidental deletion/modification. 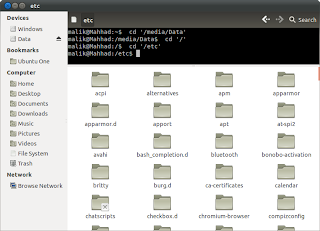 You can see the hidden files/directories by either pressing 'Ctrl + H' or by enabling 'View > Show Hidden Files'. However, you can also set Nautilus to show the hidden files all the time. 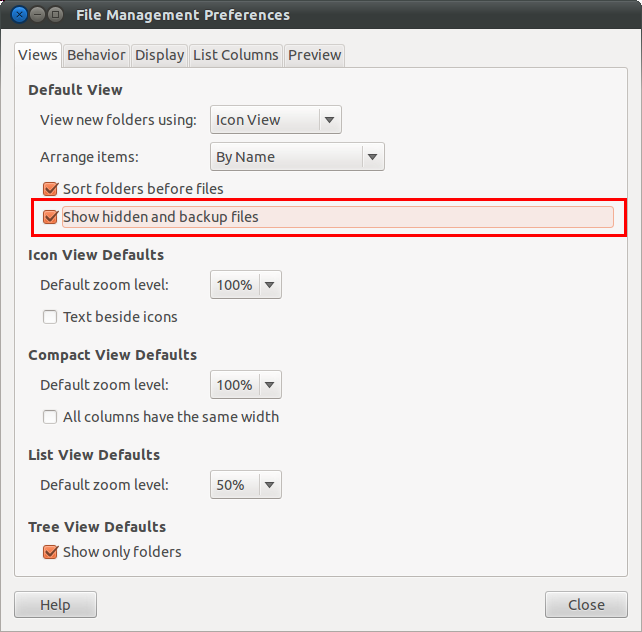 Go to 'Edit > Preferences', and on the 'Views' tab, tick the option 'Show hidden and backup files'. 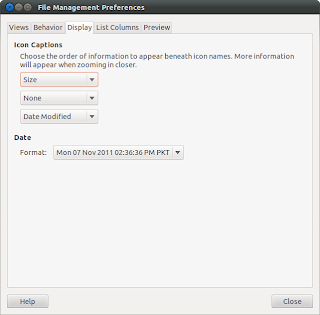 Nautilus presents an entry by default named 'Move to Trash', the function of which is obvious from its title. You can also delete any files/directories completely (without moving them to the Trash before) by holding down the <Shift> key when you press/click the <Delete> key/option. 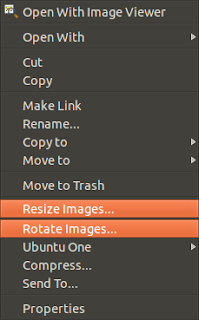 For the curious, a 'Delete' entry can also be added to the Nautilus right-click context menu, which does this job without the need of using your keyboard. Please note that it might prove to be dangerous if you accidentally manage to click it, thus resulting in the removal of possibly important files, and the process isn't reversible as the files won't be moved to the Trash. 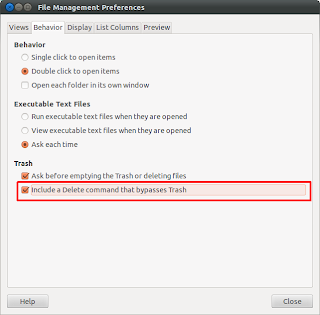 However, the immediate 'Delete' procedure would always ask for confirmation before actually deleting the selected files/directories. 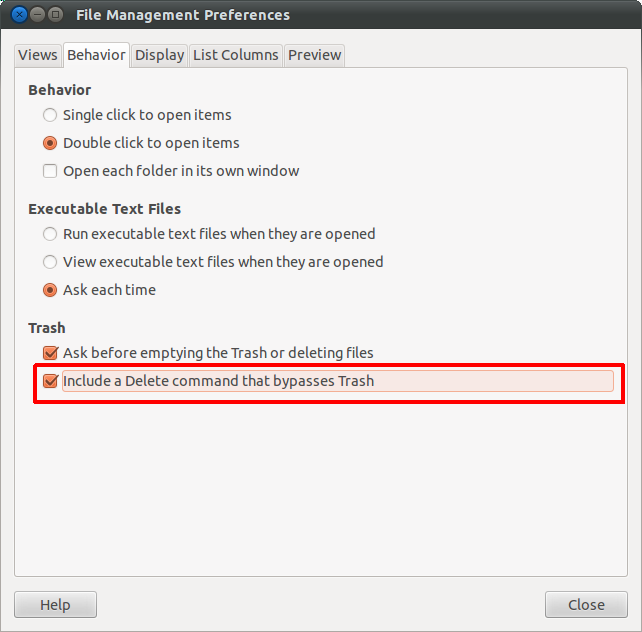 To enable this option, go to 'Edit > Preferences > Behavior' tab and under 'Trash', enable 'Include a Delete command that bypasses Trash'. This is just a simple tweak that displays the number of items inside a directory, respectively the size of a file under the directory/file names, when using the 'Icon View' with the default zoom level, 100%. Therefore, go to 'Edit > Preferences > Display' tab and choose 'Size' for the first setting under 'Icon Captions', which is set to 'None' by default; this setting affects the default zoom level, 100%. The other two settings would take effect when the zoom level is increased; the second setting is for 150% and above, the third for 400% (max). So, for not displaying the Size twice when the zoom level is equal or above 150%, set the second setting to 'None'! There might have been occasions where you wanted to open a directory in the Terminal and had to copy & paste its path or type the whole of it, taking care of the letter case, spaces, etc. 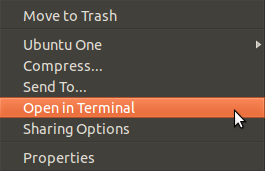 For times like these, 'nautilus-open-terminal' adds an entry to the right-click context menu, named 'Open in Terminal', which gives you a command prompt at the current path. 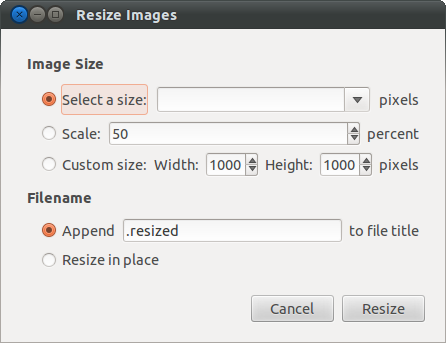 Many great tools exist for resizing/rotating images, but when it comes to simplicity, nothing can compete with 'nautilus-image-converter'. 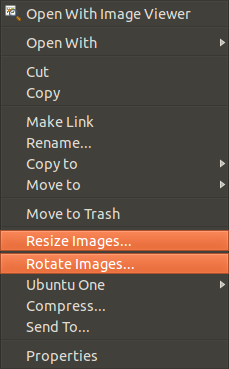 It gives you the options for resizing and rotating images right in the Nautilus right-click context menu and you can then proceed from a simple dialog. You can instantly preview directories/files by simply hitting the space bar by either using Gloobus Preview or Gnome Sushi. 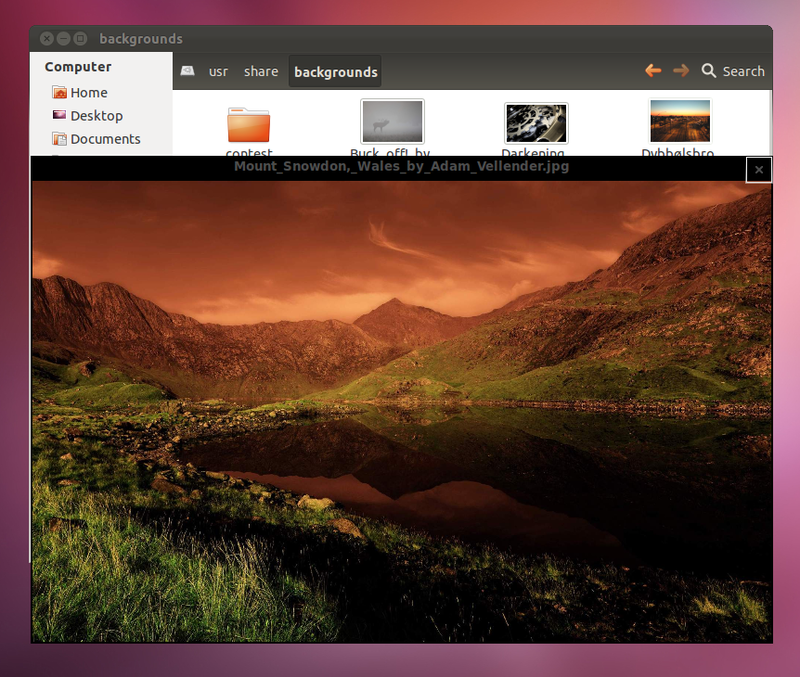 Gloobus Preview would work for any version of Ubuntu, and Gnome Sushi only for Ubuntu Oneiric and newer. You can change the value for 'def_visible' from '1' to '0' to hide the Terminal unless you want to see it. Then the shortcut key to toggle its visibility would be 'F4'.